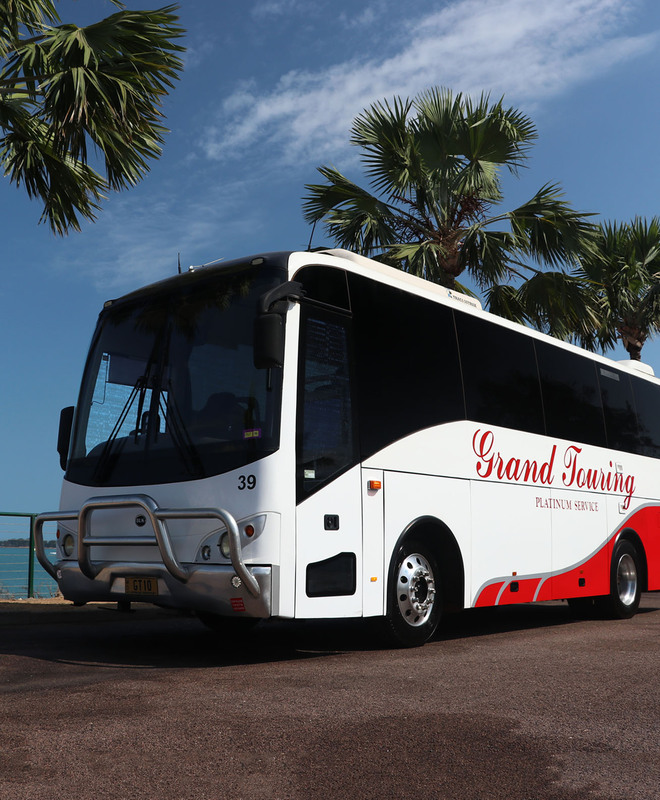 In 2014, the Wynyard Bus Lines Group acquired Grand Touring Coaches in Darwin, expanding over the years to provide the Top End with a variety of buses and coaches, luxury sedans and stretch limousine’s. Grand Touring Coaches transfer thousands of passengers each year, travelling on the many cruise ships that port in Darwin as well as those travelling on the Ghan. With over 40 years experience in the bus and coach industry, owners John and Sue have expanded the Wynyard Bus Lines Group to more than 50 employee’s and a fleet of almost 100 vehicles spanning over three states. With luxury sedans, stretch limousines, people movers, buses and coaches, The Wynyard Bus Lines Group have come a long way from the original 14 vehicles they started with almost 10 years ago.